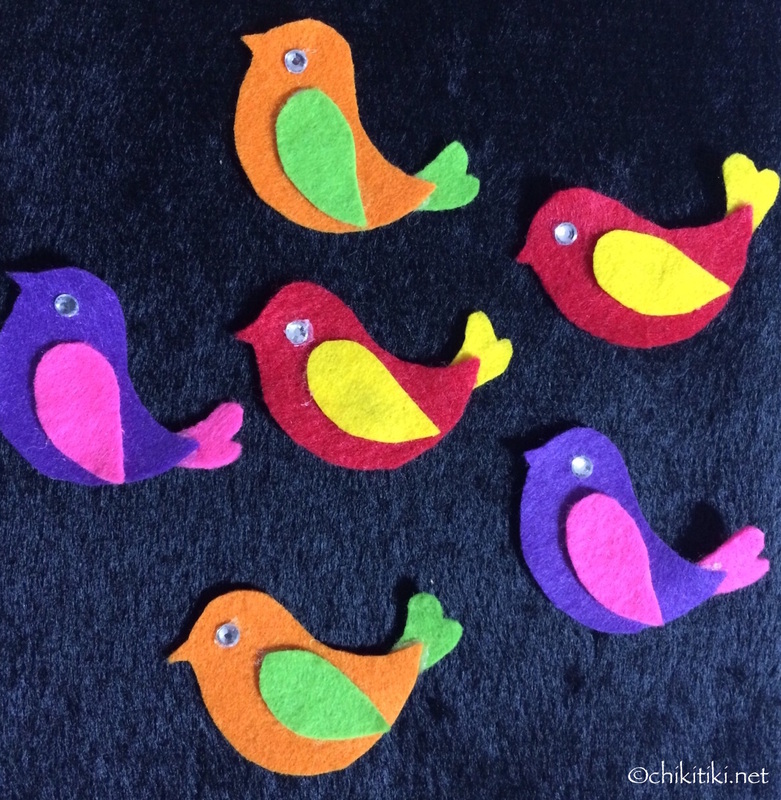 I made these little birds using felt and was wondering what to do with them. Recently, we bought Ikea’s Kallax shelf and placed it below the clock in our living room. I tried this combination on top of the shelf. A photo frame, house, books and the birds on either side of the clock. The house is a replica of Gasshō-zukuri Minka from Shirakawa-gō, Gifu, Japan. I made the photo frame using shells and corals collected from Miyakojima, Okinawa. 🙂 The two Shisas (lion dogs) are also from Okinawa.